He was last seen 3:30 PM on March 14th. 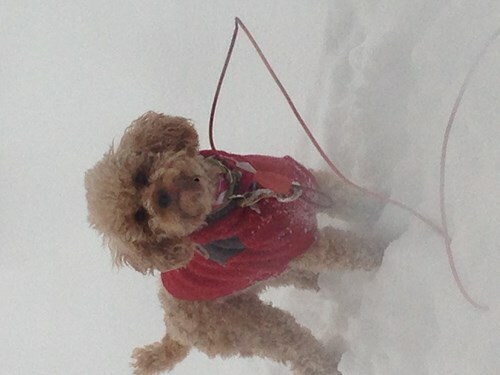 He is a small toy poodle that is wearing a red sweatshirt. He is afraid of people and is known to hide. He was last seen on Westminster Court. He is sensitive to the cold and cannot last long outside.